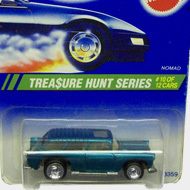 11/12 of the 1995 Treasure Hunt series. The Cobra features green metalflake paint with gold stripes on the hood. 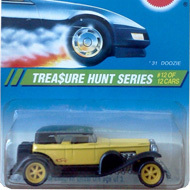 The convertible has clear windows, a tan interior, gold Pro-Circuit 6-Spoke wheels, and an unpainted Malaysia base. 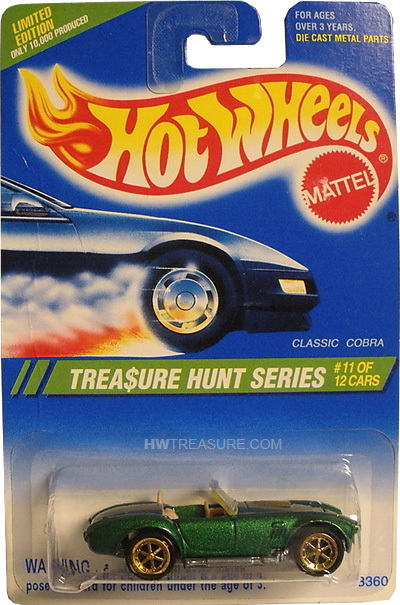 The Cobra made its debut in the 1983 The Hot Ones series. It is based on the Shelby Cobra, a lightweight roadster that features a small-block V8 engine.